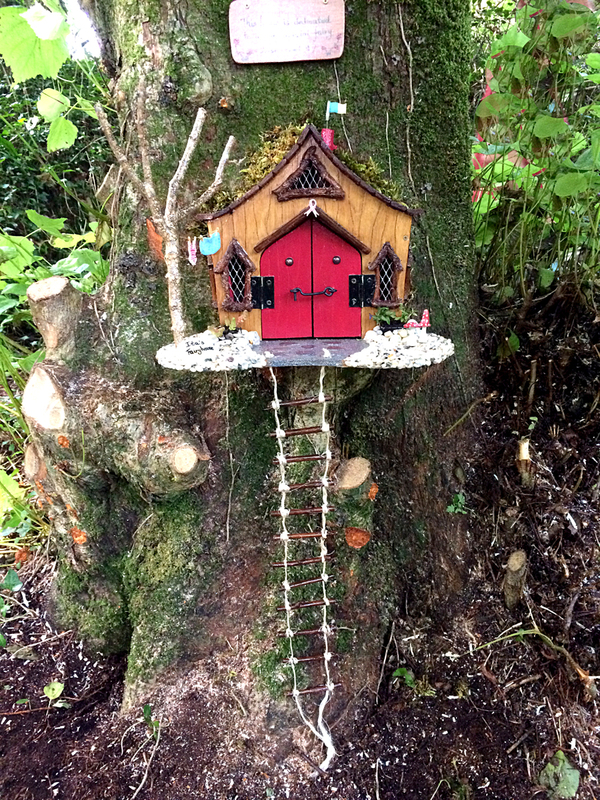 A Fairy House has appeared, full of mementos and beautiful miniature ceramics in the Derrynane woods. The house is dedicated to a very special person, Ita Corridan, who sadly passed away after a brief illness in the autumn of 2014. Ita was much-loved in the local community and well-known to visitors at Derrynane House. She worked for many years in the café at this National Monument in County Kerry. Ita was very involved with local community activities and with the church in Caherdaniel. Her hobbies included walking, hiking, sunbathing, swimming, reading and collecting fine china. 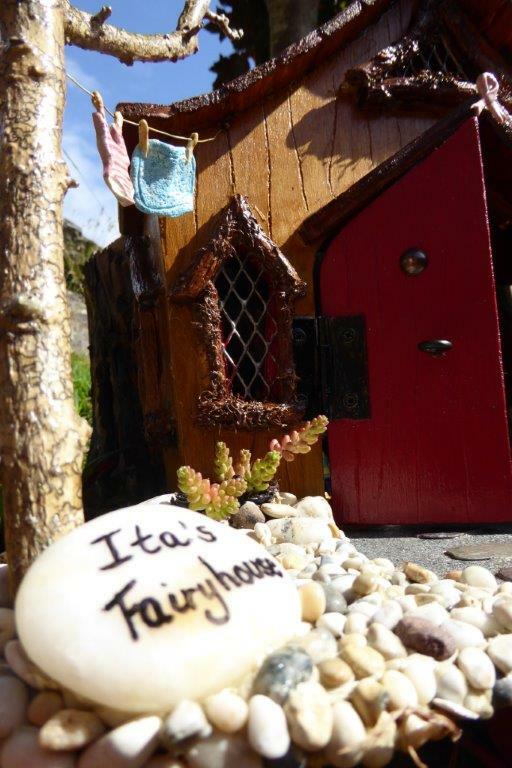 Visitors to Ita’s fairy house will see tiny depictions of these hobbies, beautifully handcrafted by local ceramic artist, Cara Turner. 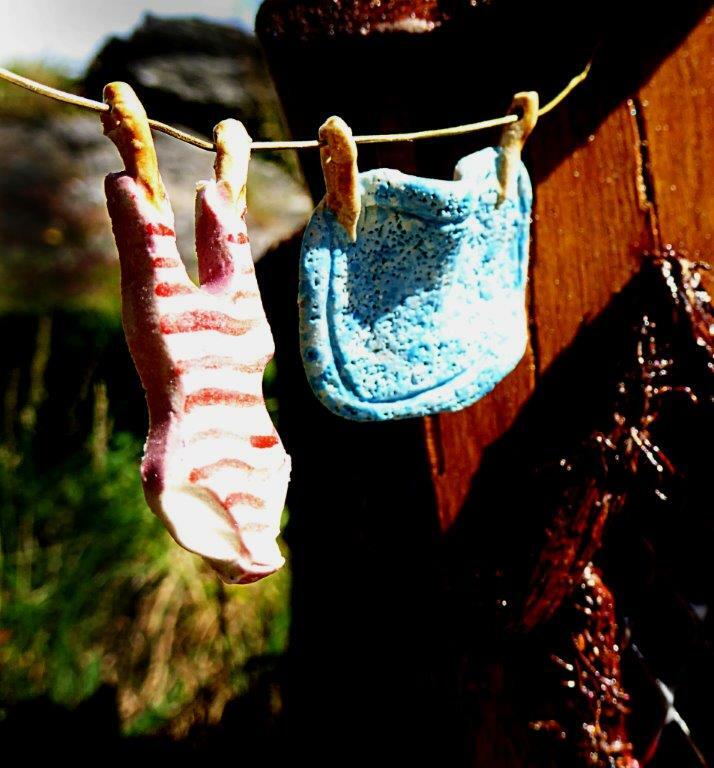 Outside, a cancer ribbon hangs over the door frame, a Kerry flag flies from the chimney pot and a swimsuit and beach towel dry on a tiny clothes line. Inside, a sideboard holds miniscule cups and saucers to depict Ita’s collection of fine china. On a table, a book rests waiting to be read. A pair of hiking boots is placed inside the door. The highlight of the interior of the house is the family itself. 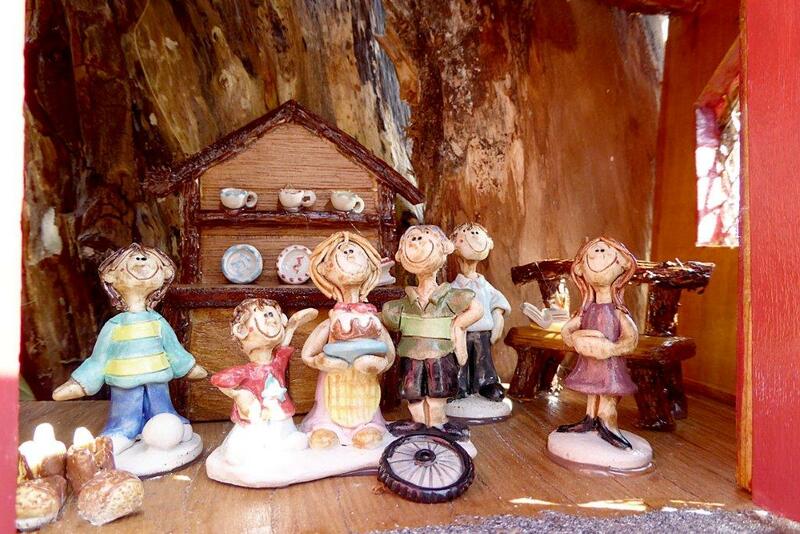 Ceramic figures of Ita, with her husband Tom, son Joe, grandson Adam, and daughters Eimear and Dee. Tom is a keen cyclist and a bicycle wheel rests by his feet. Ita is holding a cake, she was a wonderful baker and produced many mouth-watering delights for visitors to Derrynane House. 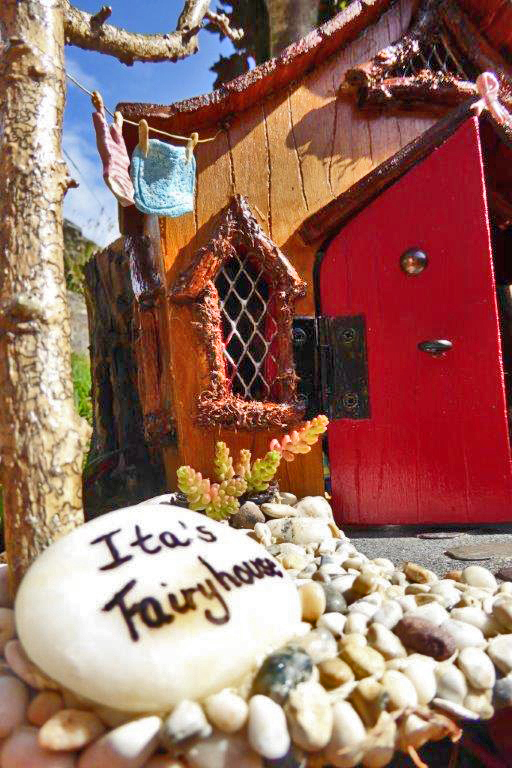 “Ita was a great supporter of the Fairy Trail in Derrynane” noted fairy house builder, Ginny. 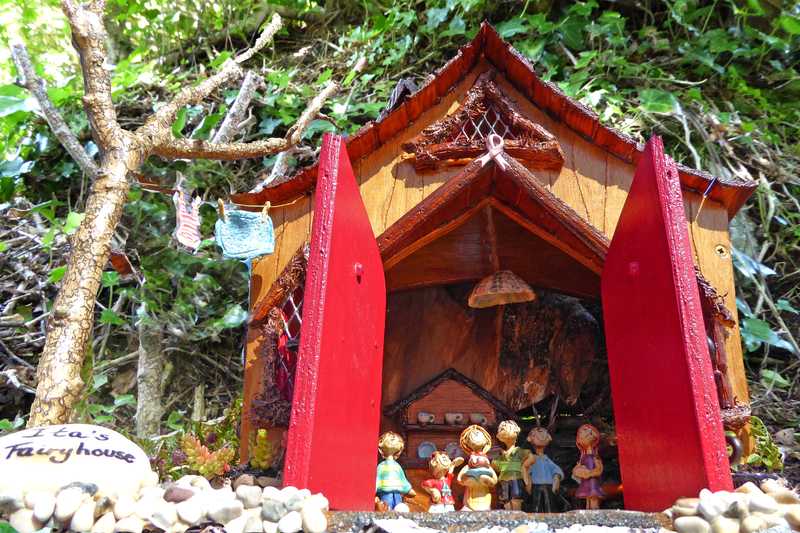 “This little house is a gesture of thanks”. 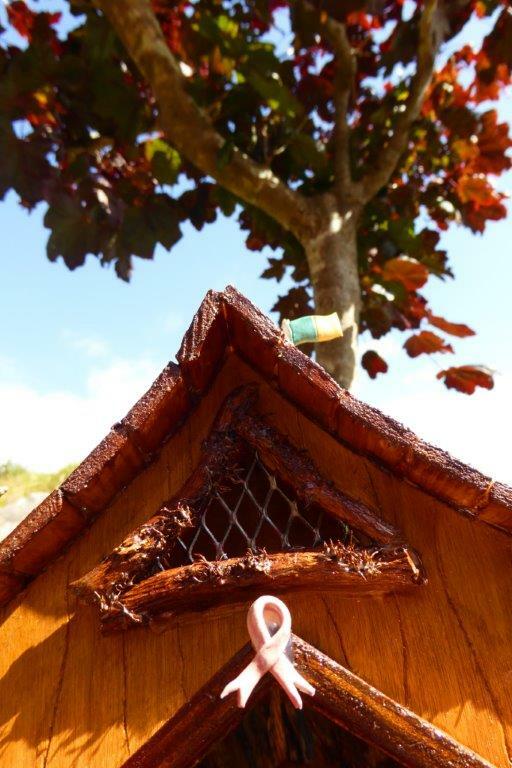 Previous postDid anyone spot any new Fairy houses?